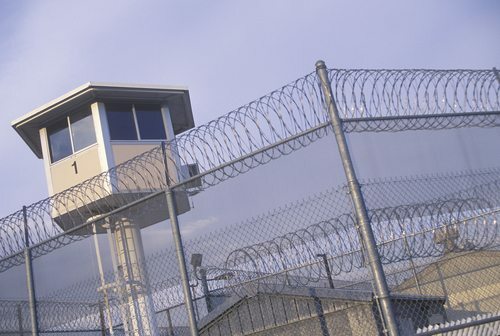 A New Bipartisan Movement: Prison Reform! Here’s a public policy proposal guaranteed to raise the hackles of both Democrats and Republicans, at least some of them. Before the U.S. fell into a mode of viewing prison as purely for punishment, there used to be widespread support for rehabilitative programs for prison inmates, including publicly funded college education. New York Governor Andrew Cuomo has proposed to reinstate taxpayer-funded college courses in the state’s prisons, explaining that it is simply common sense and just about guaranteed to reduce, though not eliminate, recidivism. “Let’s talk about self-interest,” Cuomo says. “You pay $60,000 for a prison cell for a year. You put a guy away for 10 years, that’s 600 grand. Right now, chances are almost half, that once he’s released, he’s going to come right back.” In other words, it’s much cheaper to pay for college classes for inmates than to house and rehouse them in expensive jail cells. The reaction of some constituents is to be expected—why should inmates get free educations when kids from law-abiding middle class families can’t? But the tough-on-crime crowd is still vocal, even though many experts suggest that the almost total elimination of prison education programs across the nation in the mid-1990s was a mistake. In Cuomo’s upcoming budget, there is funding for college classes in 10 prisons on a trial basis. Unlike national politicians who cannot seem to figure out how to work with legislators on both sides of the aisle, Governor Cuomo, like his dad, knows politics and often gets programs approved despite controversy and opposition. Whatever the motivations, something is happening. “I’ve been working this field since 1990 and this is certainly the most hopeful time I’ve seen in that 25-year period,” said David Fathi, director of the ACLU National Prison Project. “There is an openness to fundamentally rethinking our approach to crime and deviant behavior in a way that I’ve never seen before.” In the U.S. Senate, Rand Paul and Pat Leahy (D-VT) are promoting changes in federal mandatory minimum sentences and Leahy’s committee recently held hearings on the awful practice of solitary confinement.